Are they still shipping in February? This table has piqued my interest but would like to read a trusted review or two before pulling the trigger. Yes, they will begin shipping next month. In fact, they are almost all spoken for. I’ve been using a Denon DL301 Mk II on an older Scout and couldn’t be happier. Nice cart at a very reasonable price. I’d say it definitely outperforms it’s price point. Think this will be one of those products that can be fairly judged prior to any reviews. Plus, whose ears do you trust? Yours or a reviewers? Wonder if this will be like the Porsche Spyder. Once the original run was over they showed up with zero miles on the after market at a 50-100% premium over MSRP. 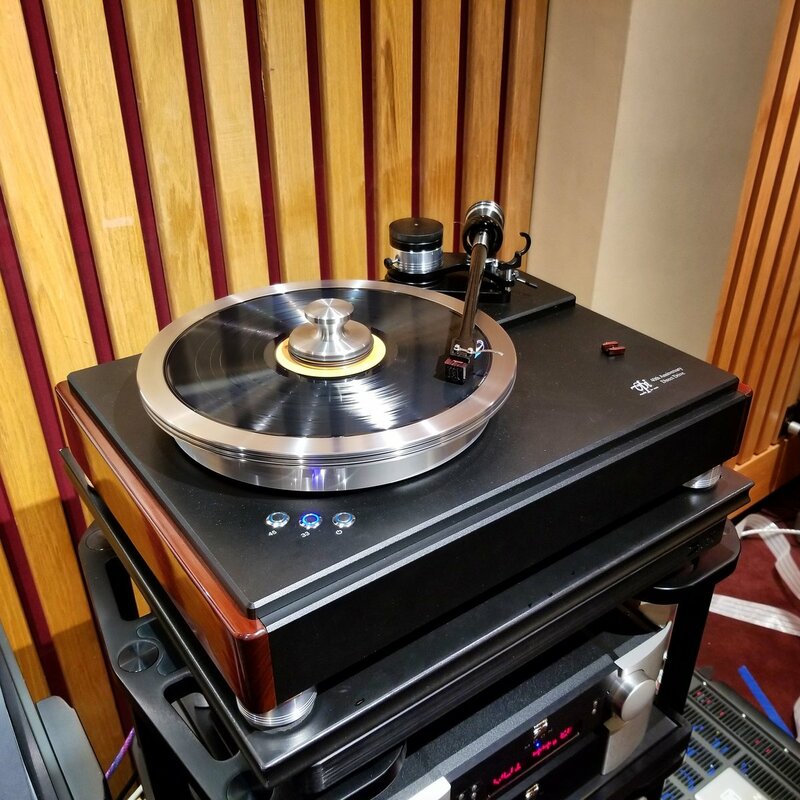 Got to hear the new VPI HW-40 turntable at a demo on Saturday. Matt Weisfeld was there and had teamed up with a rep from Audio Technica. He had the table running through a VPI phono stage which I believe was the Voyager. It was the first time I had heard the Gamut speakers, which sounded pretty great as well. I couldn't tell you what any of the other equipment was, sorry. Maybe George will chime in and fill in the gaps. I really enjoyed the demo and the sound was excellent in spite of the small crowded room. Here's a photo of the setup for anyone that's interested. These begin shipping next week. Last edited by Masterlu; 02-07-2019 at 07:24 PM. That would be surprising; my dealer talked to VPI and was told production was starting at the end of the month, and then there is production and burn-in time. Anyone have an idea when these will start shipping? What Masterlu says does not count - He has direct line to God! My dealer says mid April to late April. What do rest of the mortals hear? Last edited by Banter; 03-21-2019 at 02:55 AM.